I am halfway through writing a science fiction novella. It comes from a short story I wrote earlier this year but that had potential for a longer story. I hope to finish it by early Fall. I am also in the revising/editing stages for a nonfiction book about women in science fiction television. I plan to focus on fiction writing for the upcoming months. At this point, I have several ideas for novellas that are struggling for attention. It will be either more science fiction or more fantasy. They come without a warning. They especially love showing up when I am in a middle of another project or am trying to fall asleep. I sometimes have characters who happen and that I don’t use before a few months or even years. Yet, I know about them and I can even watch them develop. I sometimes need to go after plot ideas with a club, but character ideas? Never. They invade my poor brain without any pity whatsoever! I have a lot of characters who steal things from me, whether a personality trait or some random quirk or taste. I don’t do this on purpose and sometimes it takes me years to recognize something in one of them. I find it interesting because characters whose personality and background who might look most alike to me aren’t necessarily the biggest thieves. I find this organic process fascinating. One of the oddest things that happened to me in the recent months was in one of my short stories. In it, a female character found a lost short haired tortie female kitten and adopted her. When I had the idea, I thought it was only due to the long haired tortie female cat I lost in 2013. Two months after I got the idea, I adopted another tortie female kitty from a shelter. I didn’t choose the little one because of her color but it just happened. My characters don’t give me a choice. They develop and I have to keep up. They sometimes even have arguments in my head or decide to throw a party even when they aren’t supposed to know or like one another. I don’t use character interview sheets, but take a lot of notes. I am a big note taker, whether long handed or typed. I gather enough information about them, and lately I often cast someone (actor/singer/model/personality) for them to make my visualization easier. This last habit comes from my years of roleplaying in the Star Wars universe where we choose “image claims” for our characters. I am a planner 95% of the time. I love outlining and creating detailed structures. It helps me a lot. The exceptions to his would be my first novella and two recent short stories. These, I have brought to life without outlining. It was a fun experience to play pantser for both short stories. I plan to write sequels to them, but this time will probably outline. I work with notes for the most part. I take a lot of them by hand before typing them into Word documents, outlines being the most important. I use outlines and detailed structures for both fiction and nonfiction. When I work on nonfiction projects, I also calculate my word counts per section and subsection, so I keep them relatively even. I need to find a title early as well. I always work better when I have a title! I don’t always listen to music when writing, but I have “go to” music when I do. They are mostly soundtracks (movies and video games). I have a little ritual that goes back to my first big research paper in last year of professional cinema school though. When I finish a big writing project and am writing the last bits, I listen to “Throne Room and Finale” from Star Wars Episode IV: A New Hope, by John Williams. And if possible, I listen to it loud! The biggest change in my writing is that I no longer write in my mother language. 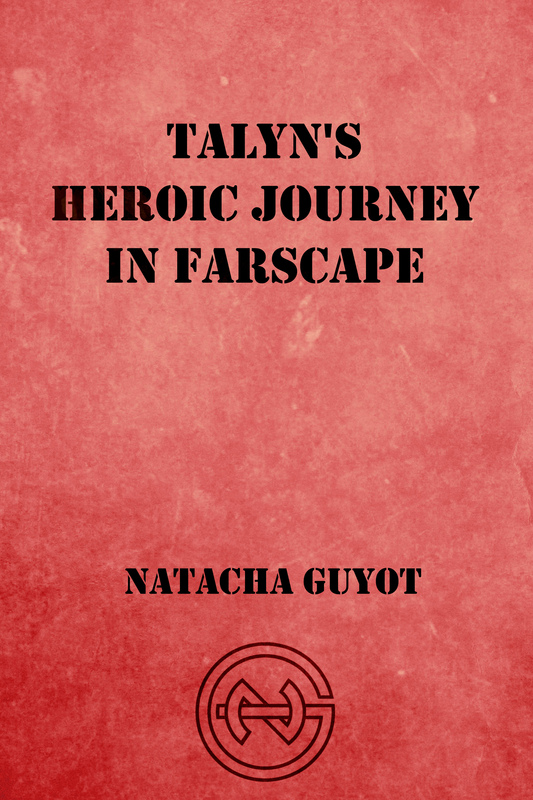 I wrote my first two fiction projects (a Science Fiction novella for kids, La Cité de Sharianth, which comes out for Kindle, on April 14, and a Dark Fantasy novel that I hope to translate to English and publish at some point) and my university research papers in French. Since 2012, I have fully moved on to English writing. My career and personal goals are to move to London in the near future and most of my contacts and friends are English speaking. English is natural to me. 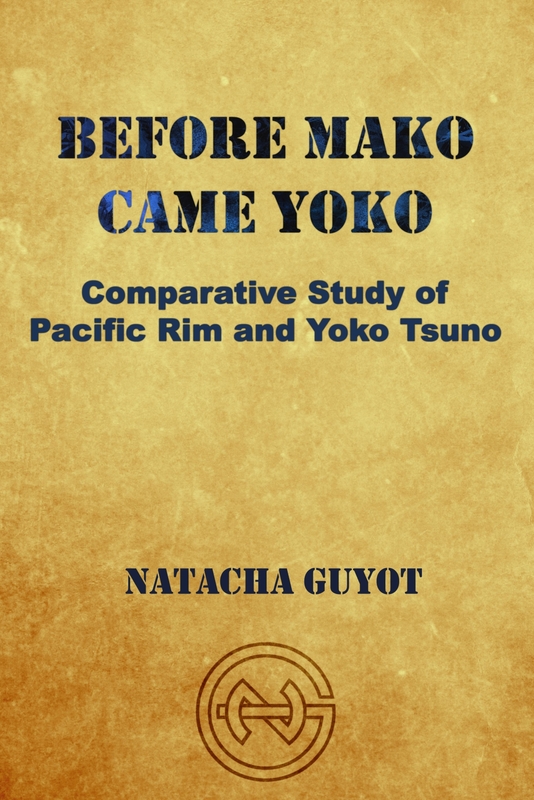 This change originally happened because my nonfiction works is more interesting to English speaking people. When I returned to original fiction late 2014/early 2015, I couldn’t fathom writing new projects in French. The other change is how I now write short stories and not novels for fiction writing. I hope to return to novels at some point, but I am having a blast focusing on short stories and possibly novellas for now. I draw inspiration from tons of different sources. I don’t actively look for it, but I have a natural curiosity for many topics and life in general. I can have an idea because of a book I read, a show or movie I watch, a song I hear, a conversation I have, the colors in the sky, my cat redecorating my room, the enticing smell of cake. I am lucky (or cursed when the muses are on a roll) to find inspiration about every day! What kind of an environment do you write in? I write at my desk, day or night time. It depends on the mood and what I have to do on a given day. I recently got a large monitor which allows me to have two pages in Word showing up and I love it! You can find me taking notes about current or future projects anywhere though. I always have a notebook and a pencil with me, whenever I leave home. I believe people will always love the written word. Whether they read a printed copy or on a tablet/computer, they are still reading. I can’t see people giving up on reading. I have a huge love for physical copies but digital files have grown on me when it comes to certain technical nonfiction, especially writing craft, publishing and book marketing. I have no interest and even a strong dislike for 50 Shades of Grey. I didn’t like the style of the excerpts I read and am not planning to read the rest of the books or see the movies. I also have issues with some of the triggering content. I am in no place to tell people what to read though. I wish other books that I like better would make such numbers in sales, but things are what they are. It is hard to choose just a few. I think I’d be busy helping preserving digital libraries and turning more physical books into digital files, so more titles might survive in encrypted archives. When I started writing fiction in my teenage years, I was already intrigued by self-publishing. Back then, it was a very complicated process and I eventually gave up. My first publication was in April 2012. In 2015, I took the leap to go solely for indie publishing and I didn’t regret it at all. Indie publishing has taught me a lot about book marketing and technicalities of formatting for example. I also like keeping creative control over my titles. Fiction or nonfiction, I think that any type of publishing requires dedication and hard work, so in the end, doing what you feel is right for you at a given moment, is what matters. It would have been great to know as much as I do now, but all in all, I am all right with how things happened. If self-publishing had been as easy when I was in my late teens or early twenties, I think I would have published fiction many years ago. I might have been happy to be told that I needn’t worry about being unable to write original fiction for many years, because I would get back to it. I admit I had a few years where I felt sadness for not having the muse for such projects. In the end, everything happens for a reason! Write what you want to write, what you are passionate about. If you don’t, your writing will end sounding mechanical no matter the genre. This spark is what starts it all and you need to keep the fire alive, even on the day where your muse is snoring in the back of your mind. Work hard, be patient and persevere. I have always been encouraged to give my everything and work hard. I have doubts at times and I wish that things went better and quicker sometimes, but I remember that everything is worth the wait and I keep the faith. I would also recommend reading about writing craft, publishing, book marketing. Educating yourself is always a good thing! I am a proud fangirl and I find value in all fan creations, including fan fiction. Being able to have a playground like fan fiction, cosplay, vidding and roleplaying (to name a few examples makes for wonderful experience for fans of all ages. Even if people ever wrote fan fiction with interpretations that are against my author’s view (if one day my fiction titles gain enough readers to make for an actual fandom), I would still be happy that they like my work enough to tell more stories in one of my universes. I enjoy needlepoint and baking a lot. I also have two fannish creative outlets. One is writing based too, and is my Star Wars roleplaying, which I have done since 2008. Telling my characters’ stories in a galaxy far, far away helps recharging my original writing muses a lot. I often take small breaks to make a roleplaying post on the forum where I write. I have also been creating fan videos for almost ten years. I vid many different types of movies and television series, but my YouTube channel only features Science Fiction and Fantasy related ones. Being a writer is a core part of me, and I will always be one, but I also enjoy public speaking and would be happy with a job in the publishing industry too. I have always loved telling stories. For example, I remember adding to the Star Wars universe with my Barbie dolls when a child. I loved creating imaginary worlds from as far as I can remember to. My first “real” original story, which I saw to a complete end, was written when I was a teenager. I didn’t know back then that I would end being a fiction and nonfiction writer. The jump into nonfiction stemmed from my Master degrees and my research papers. 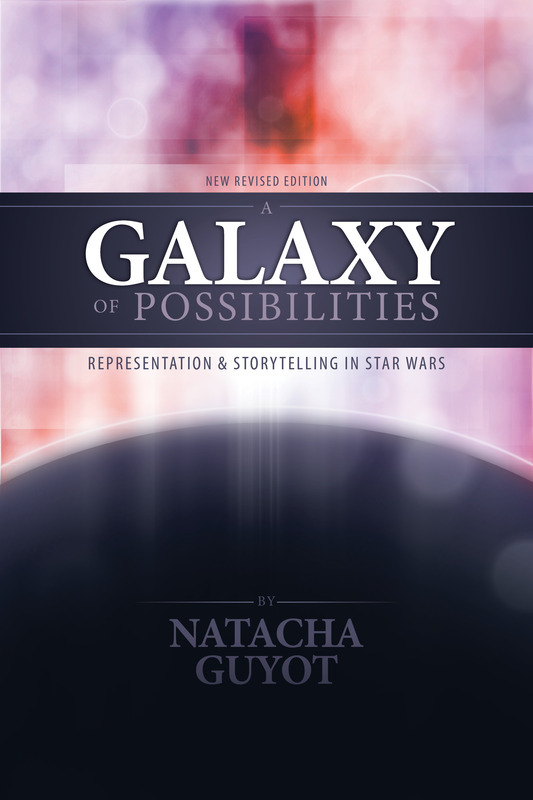 My fascination for Science Fiction, long lasting transmedia franchises, female characters and fan studies, led me to write a lot of nonfiction/academic papers of all lengths. I enjoy the research and analytic works as much as the fiction ones. Clarissa Pinkola Estés is my greatest nonfiction inspiration. Her book Women Who Run With the Wolves is one of my all time favorites. I often turn to her writings (and I need to read more of her books) when I work on nonfiction projects. I also love Joseph Campbell‘s writings, and am thrilled that more is still published since he died, thanks to all the notes he left behind. His work on mythologies of many kinds and how they affect creation and society have a significant place on my bookshelves. Fiction wise, I can thank Anne McCaffrey and C. J. Cherryh for giving me the inspiration to start writing my own stories. I love how they craft their universes and characters. J. K. Rowling, Joan D. Vinge, Tanith Lee, Vonda McIntyre, Martha Wells and Philippa Ballantine are also writers I admire a lot for their storytelling skills and the complex female characters they bring to life. 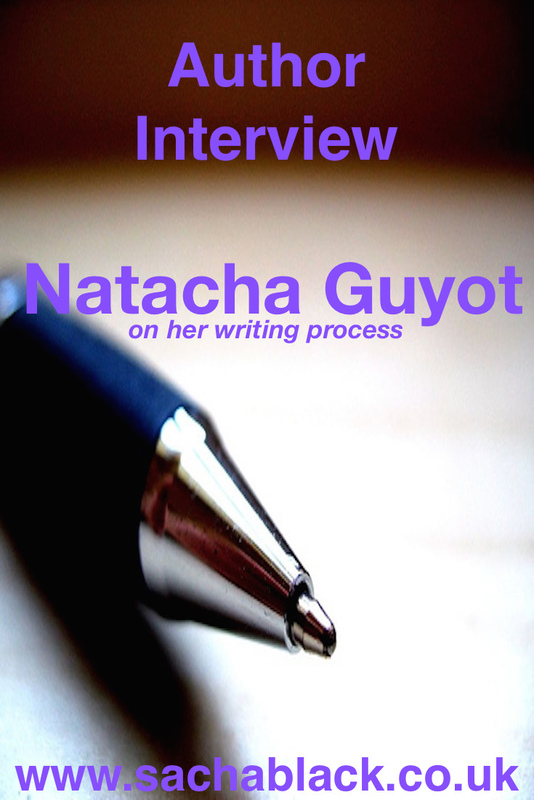 Natacha Guyot is a French researcher, author and public speaker. She holds two Master’s degrees: Film and Media Studies (Paris III Sorbonne Nouvelle) and Digital Culture and Technology (King’s College London). Her main fields of interest are Science fiction, Gender Studies, Children Media and Fan Studies. She considers herself a feminist, a fangirl, a bookworm, a vidder, a gamer and a cat lover. Great interview! I loved the parts about Star Wars roleplaying. That’s awesome. I find that so many of the best authors/filmmakers/actors never stop being fans. Fun interview. Nice to hear another author mention that characters sometimes run ahead and force the author to catch up. Thank you! And yes, some characters can just storm off and you need to chase them to keep up. They gnaw on it way too quickly. Or they agree to keep them on and use them to drag their poor writers along! Good point. Pretty bad when you write with an ensemble cast. Like somebody getting yanked off a pier by a speedboat and leaving their water skis behind. That’s what happened to me when I wrote my upcoming short story collection. I have been lucky in more recent projects to have a smaller cast with only a couple leads. At least they all ran into the same direction then! you do make me giggle Charles – character lease – oh and if you happen to patent one, I’ll be your first customer! Will do. Though I fear it will end up being turned into an author leash and doom us all. That’s about what happened to me when I read the question, sweetie! There’s a Synn arc already about saving books from crazies like this. LOL. aww thanks Debbie – am feeling the pressure trying to come up with something new – this series will run out in November! Nice interview. I love the way short stories can turn into novellas. Thank you. 🙂 and thanks for taking the time to read it. Wow! That is amusing. So that is at least three languages you speak. How many altogether? I have always wanted to learn Latin… sigh. I’ve put it on my 30 by 30 list. I want to achieve 30 things by the time im 30 and one of them is to learn a little latin! god knows how I am going to do it! audio book in the car maybe! 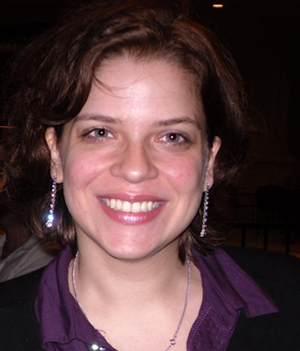 It was nice learning more about you Natacha. Wonderful interview questions, Sacha.